The Dublin Simon Community today (23/08/16) said that figures released today from the Daft.ie 2016 Q2 Rental Report show that the market is not slowing down, despite rent stability measures introduced last year. The homeless and housing charity said that the introduction of full rent certainty would make a significant impact on the thousands of people struggling to secure a home. The comments come after today’s report marked an 11.1% yearly increase on the average rent in Dublin and a decrease in the number of properties available. Commenting on the report, the Dublin Simon Community highlighted the increase in average rental prices all across the Dublin Region. 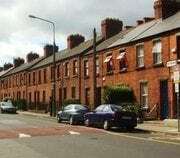 There were just over 1,400 Dublin homes available to rent on 01 August, down nearly 350 on the same date a year earlier. €1,419: In the North City area, up 11.5% since last year. €1,642: In the South City region, up 11.3% in the last year. €1,735: In South County Dublin, up 10.8% in the last year. €1,351: In West County Dublin, up 12.5% increase in the last year. €1,272: In North County Dublin up 11.7% increase the last year. The Dublin Simon Community which provides services in Dublin, Wicklow Kildare and Meath commented on the increase in rents outside of the Dublin region. “Meath is facing the highest year on year change with a 15.6% increase, the average rent now being €972 per month. Rents were at an all time low in Meath in 2012, and when compared to current levels the county has seen a 50% increase in average rents over that period. Dublin City Centre: To rent a one bed apartment in the Dublin 2 area will now cost an average €1,462 a month (7.9% increase). This is the second highest average rent in the city with only the Dublin 4 area surpassing it with a €1,610 monthly average (13.1% increase). 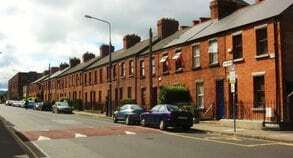 Meath: The same size apartment now costs €680 per month, which highlights a 13.8% increase. Kildare: €733 is the average monthly rent for a 1 bed apartment in Kildare, up 10.9% since the same time last year. Wicklow: In Wicklow, renters will have to pay €772 per month, which is up 8.0% from July last year. You can read the full Daft.ie 2016 Q2 Rental Report here.